Excellent appartement ! Excellent host, very friendly and gave us tips for the city. It was for the first time when we had even more space than needed (we were two) which was excellent. You can benefit here of a very big fully fledged appartement which suits for a couple or family. Very clean and with everything you need. The beach is reachable by car (5 min), by bike 10-15 min) or by walking (20 min) (up to you). Rovinj is designed in a way that for good beach landscape you need to walk or to take the car or bike anyway. The old city center is only 15 min walking and is very easy to reach. We really enjoyed our stay and we recommend it greatly! Extremely spacious and cosy apartment located within walking distance to city centre. Friendly and generous hosts went out of their way and allowed us extra late check out. I stayed in Rovinj many times, and this was by far the best value for money so far. Highly recommended. Ubytovanie bolo veľmi pohodlné a príjemné. Milí a ochotný ubytovavateľ.Miesto tiché a celkom blízko centra. Potraviny boli hneď oproti. Môžem iba doporučit. Il gestore è stato molto cordiale e disponibile in tutto, davvero bravo. la struttura corrisponde alle foto sul sito, molto carina. i servizi offerti come wifi, aria condizionata, cucina sono buoni. ci sono supermercati molto vicino ed il centro di rovino è a 10/15 minuti a piedi. rapporto qualità prezzo che aumenta all'aumentare del numero di ospiti. Lock in a great price for Apartment Antonietta – rated 9.5 by recent guests! 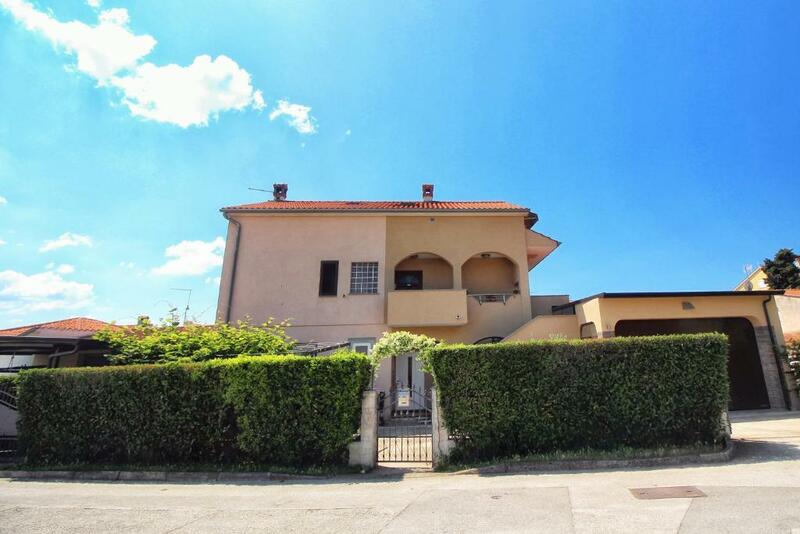 Apartment Antonietta This rating is a reflection of how the property compares to the industry standard when it comes to price, facilities and services available. It's based on a self-evaluation by the property. Use this rating to help choose your stay! 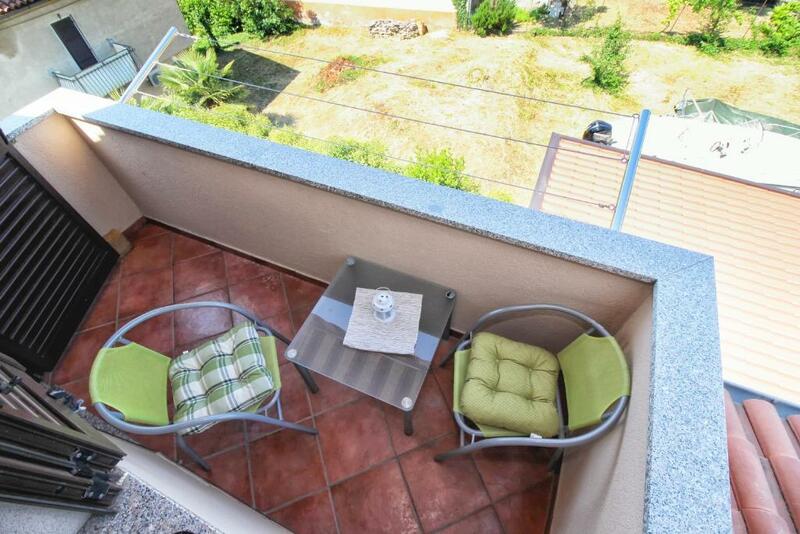 Located in Rovinj, a 17-minute walk from Rovinj Marina and 1.1 miles from Rovinj Aquarium, Apartment Antonietta provides air-conditioned accommodations with a balcony and free WiFi. This property has a patio. This apartment has a flat-screen TV, a seating area, a kitchen with an oven and a bathroom with a shower. Punta Corrente Park is 1.2 miles from the apartment, while Cathedral of St. Euphemia in Rovinj is 1.4 miles from the property. Pula Airport is 24 miles away. When would you like to stay at Apartment Antonietta? This apartment has a stovetop, oven and kitchenware. House Rules Apartment Antonietta takes special requests – add in the next step!